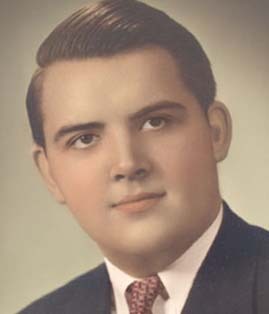 William M. Reaves was born on June 3, 1934, in Newark, New Jersey, the son of the late Marion William Whitford Reaves and Florence Belle Lynk Reaves. His grandfather, Richard Martin Van Buren Reaves, was a Confederate Veteran. In 1968, Mr. Reaves became a resident of Wilmington, his father’s childhood home. 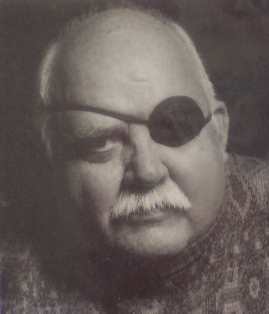 During the 1970s, he worked both as a librarian and reporter for the Wilmington Star-News, where he wrote the popular local columns, “Inside Old Wilmington” and “Looking Back.” In 1976, during the United States’ Bicentennial, he wrote an award-winning series of articles on the history of the Lower Cape Fear. Working with the Historic Wilmington Foundation, he was actively involved in Wilmington’s historic preservation movement. In the 1980s, he helped catalog the artifact and image collection of the Cape Fear Museum. He also worked for North Carolina State Historic Sites at Brunswick Town, Fort Fisher and the Town Creek Indian Mound. A popular lecturer, he taught local history at Cape Fear Community College and the New Hanover Public Library. A noted historian, Mr. Reaves was involved in over fifty local history publications and genealogical abstracts, covering New Hanover, Brunswick, Pender and Duplin counties. A charter member of the Southport Historical Society, he wrote a remarkable four volume history of Southport. He was the author of Strength Through Struggle, The Chronological and Historical Record of the African-American Community in Wilmington, North Carolina, 1865-1950, for which he received a national award from the American Association of State and Local History. His works have also been honored by the North Carolina Society of County Historians, the North Carolina Department of Archives and History, the Lower Cape Fear Historical Society and the Old New Hanover Genealogical Society. In 1992, the North Carolina Underwater Archeology Unit Library at Fort Fisher was dedicated as the William M. Reaves Research Room. Mr. Reaves shared his extensive newspaper clippings and other historical files with the North Carolina Room of the New Hanover Public Library. The library’s Bill Reaves Collection has benefited researchers throughout the United States. News Articles – 1725 – 1849 What is – The Bill Reaves Collection?